For those of you who are sick of seeing the Alice In Wonderland jewellery! 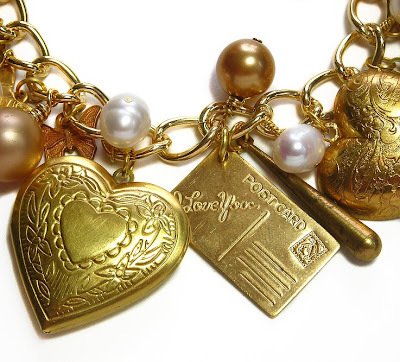 Here is a nice vintage inspired addition to anyone's jewellery collection. 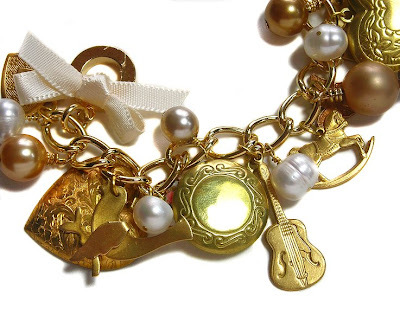 I've crammed a gold tone charm bracelet with vintage lockets and charms and added glass and freshwater pearls for a real classical look. 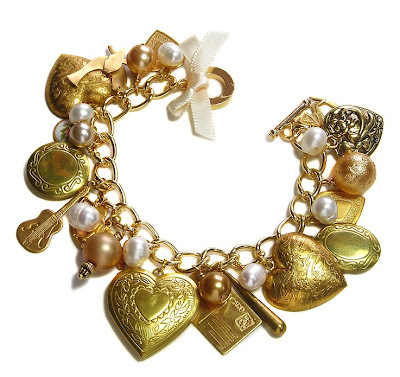 Of course this charm bracelet wouldn't have been complete without a pretty satin ribbon to finish it off! Perfect! Available here.